I started Taekwondo when I was about 7 years old. I went to watch a Club training session and I thought it looked like a lot of fun. What I like the most about taekwondo is being able to spend time with people who share a hobby like mine. I also enjoy the fun training sessions that the Masters put together. 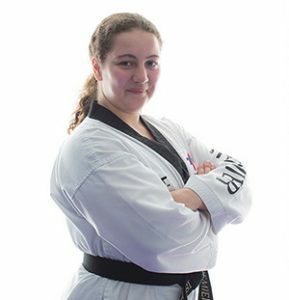 I am happy that taekwondo has helped me to gain confidence in myself in talking to others. One of my greatest achievements in taekwondo is when I got my black belt 3rd Dan in 2017.